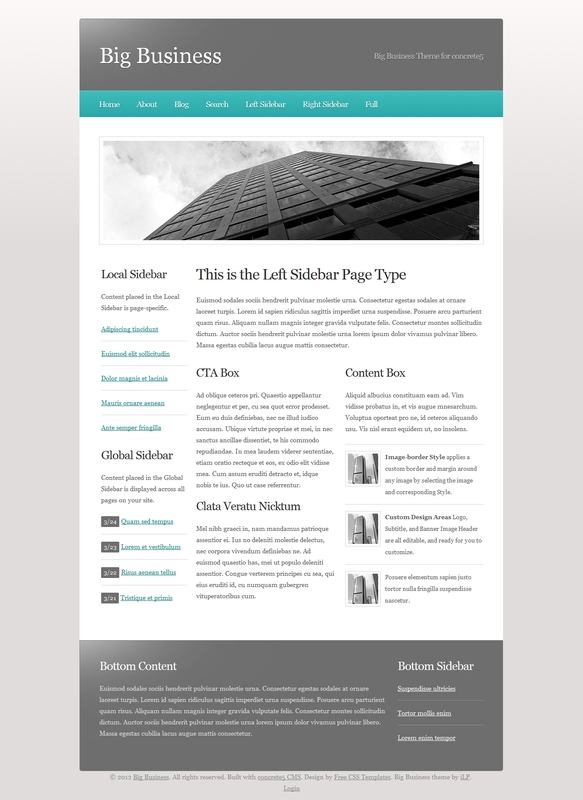 A two-column, fixed-width design with a clean, professional look and bright color scheme.Themed Page Types include the original Right Sidebar, as well as new derivitive Left Sidebar, Full, and Blog Entry templates (see screenshots). 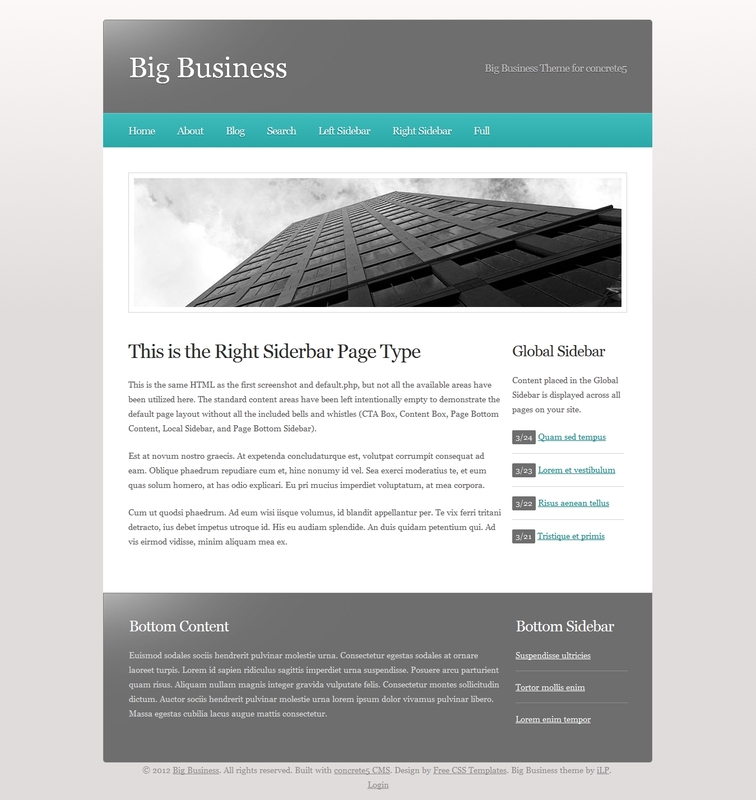 Configurable design areas include custom subtitle and banner image, as well as dual-column body content option. Page-specific, Local Sidebars and sitewide, Global Sidebar configuration allows for quick and simple site development without sacrificing fine-grain content presentation. 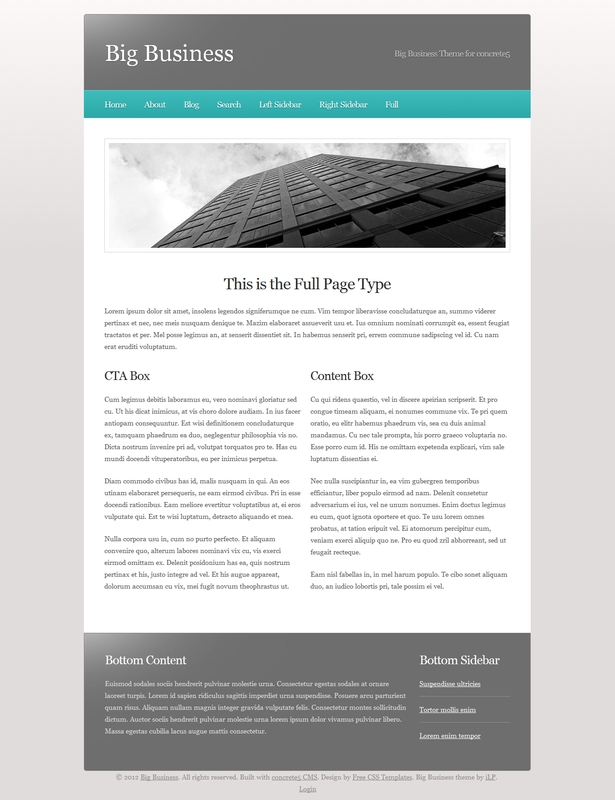 Font colors are customizable, the original template's custom image, date and strong styles have been retained, and the layout complexity is fairly flexible for a fixed-width theme. 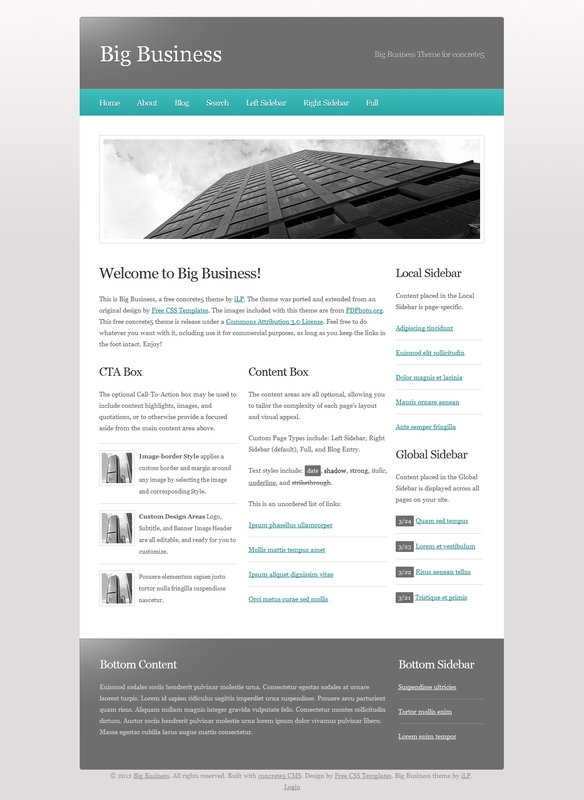 The Big Business theme for concrete5 is based on an original design by Free CSS Templates.